Finding a good base can be a tricky business, you want it to compliment your skin rather than hide it under a ton of base. 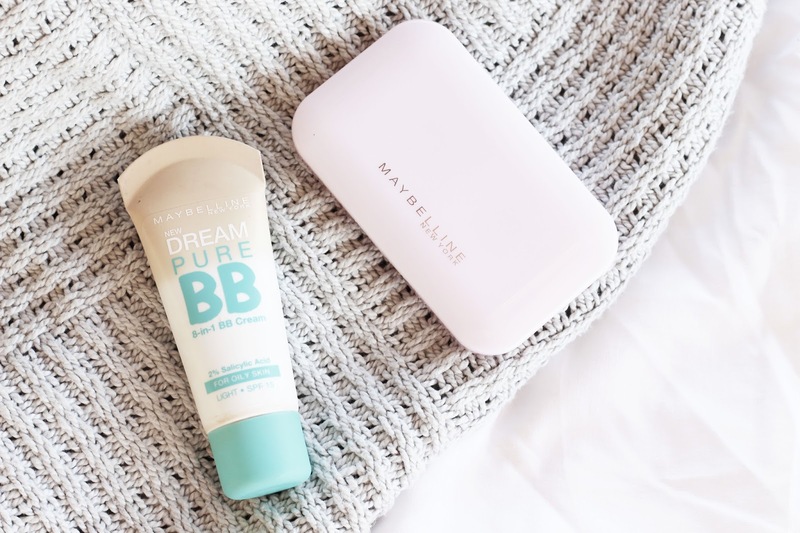 I've been using Maybelline's Dream Pure BB cream for a couple of years now (also on recommendation from my sister). For casual days its great, it reduces redness and covers blemishes and an extra bonus is that it is simple to apply, quick with no fuss. Too often BB creams end up making your face greasy and oily. Maybelline Dream Pure is specifically for oily skin, I find that it definitely has a matte finish and by the end of the day my skin is grease free. If you're looking for a simple makeup routine that still hides blemishes and redness this BB cream just might do the trick. I apply the BB cream with a makeup sponge, but at the moment I'm really enjoying applying it with my Beautique precision foundation brush from Red Square at Edgars. I use Maybelline's Cake Powder alongside the BB cream, I find that it's a lovely combination. The cute little blush pink compact includes a flat sponge for applying the powder, I either use it or my blush brush when using the powder. The sponge is often better because it blends the powder into the BB cream and keeps everything matte. Overall the two products combined give a lovely natural look, while still covering the skin. It leaves the skin feeeling lovely and clean, and well covered but not caked.